Is GetItFree a Scam? Read 39 Reviews! Prizes: Freebies, coupons, discounts, etc. 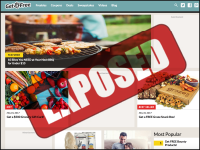 GetItFree Exposed — Is It Fake or Real? They say nothing is for free and GetItFree.us is just one more example. It doesn’t seem to matter what you click on, it takes you to another site where they want you to register, take the survey and/or jump through other hoops. So it might not cost you money, but it certainly costs you time. Of course to top it off, then I find out I couldn’t win because I wasn’t a resident of the United States. If you are a resident of the United States, you have the opportunity to receive things for free (freebies), coupons, deals (discounts on purchasing things) and sweepstakes (raffles). There is also a video and blog menu where you can click and watch or read. The things for free are pretty cool, though you’ve got to individually register for each. Some of the sweepstakes take you to the advertiser’s home page and some pop you into another raffle site. The rules depend on where you are, so check them out. Well, if you can get to them. Many of the sites check out your IP and won’t let you go further unless you are in the US of A. This site is “for United States use only”. There are a few sweepstakes and freebies that people from Canada, Australia and New Zealand can play or get but they are far and few between. What Are the Prizes Offered by GetItFree.us? The Shelby Car sweepstakes particularly caught my eye. There is a heap of prizes in the sweepstakes ranging from a Cuisinart Deep Fryer, prizes from Martha Stewart (daily), to win $5,000 to a Camero. Coupons are mostly for groceries – okay boring. Discounts are available from everything to a special dog harness to power tools. The freebies mostly include sample sizes for health drinks and skin care products. Clicking around getitfree.us, there is no information on who actually owns this site. They are based in California or so they say. There is a support email address, online form and email address if you’d like to advertise on this site. Oh, and there is the name of their legal agent for any infringement with a PO Box address in San Diego. The terms and conditions are pretty thorough about the site, though focuses on protection issues versus how you get your prizes, coupons or freebies. For each of these, you need to check the specific rules or terms & conditions of each game/freebie that you go into. Ditto with getting your prize. Each sweepstake has its own rules and regulations so you’ve got to go in and check out when a draw ends, whether you have to do anything to enter and how you receive your prize. This gets pretty time consuming. Coupons and discounts are automatic, meaning you get them after you enter your details. I guess the freebies come in the mail and that depends on how quickly they are processed. Once you get by the link advertising, there is a heap of complaints on receiving junk emails and advertising. Several comments listed all the different stuff that was received as a direct result of registering for a prize – none of which came from the original sweepstake. Is GetItFree.com Scam or Legit? This is not a scam, but instead looks like it is a data miner that is after your contact details to share with advertisers. There are no complaints that people didn’t get what they asked for whether it be prizes, coupons, discounts or freebies. If you do live in the United States, you could have some fun with this site. There are some good prizes though given some of the comments regarding the spam aspect, I’d make sure you use a standalone email address. Spam, Spam and more SPAM? This site gets a thumb’s down for the time for going into each and every site to play, get a freebie, receive your coupon or get a discount. There’s got to be an easier way to win. Tried several times for tools and have received nothing or my time. It’s been several months since the first try so they’ve had time to process. Like so many others, I have tried numerous times to get “free” stuff and always the same thing…A bunch of “junk mail’s” and unfilled promises. Definitely a SCAM website. Spent ten minutes trying to find these freebies. A week later got spam emails. like y’all I’ve tried it too and it is a scam I’ve been promised so many things and say congratulations you got this blah blah blah I have not received anything and my dewalt drill set I haven’t received it I haven’t received anything and now when I go on there and try to do the survey to get another thing it won’t even let me get to where I’m supposed to go it just keeps sending me over and over to this that and the other back to 2016 with freebies they have supposedly given out. I love get it free. It is legitimate and I look forward to receiving my items. Thank you Get it free. They say nothing is for free and GetItFree.us is just one more example. It doesn’t seem to matter what you click on, it takes you to another site. There are so many items like tools and food products to restaurant and store gift cards that I’ve received simply from taking short surveys and filling in information. And all these gifts were completely FREE! This has been the best FREE site I’ve come across in years! Highly recommended! I hear a lot of good things and for that I give the 4 stars. I personally have not received anything from the site no matter how much I fill out and for that I give you a -. Please change my mind. I actually got an eyeliner for free. I actually wasn’t expecting it at all because usually this is all a scam but I mean, i got it for free. It’s a scam. In small print it says you must return the product in 2 weeks if not wanted. They then charge you triple the price, yes triple. I contacted the California attorney general, and a review is in process. Got it free! Dewalt drill bit extension. Thank you. I’ve received some great samples! A few seem to be missing, but I am a fan of get it free. I received a free Sharpie marker in the mail today! As a nurse, I use Sharpies every day & can testify that there isn’t a better permanent marker on the market. Thanks, GetItFree! Received my Dewalt drill bit today. Thank you very much, I like it and added it to the rest of my tools! I got Nyx eyeshadow today and I love it. Thank you for the sample. Looking forward to more of it. Hi! Today I received in the mail a free NYX soft matte liquid lipstick and I am so happy that you sent it to me. Thank you so much it made my day! I am definitely looking forward to more items! Got my Dewalt drill bit thing. Not what I was expecting but still nice. Thank you. I need to correct something that was said in this main review. People do not win anything free. Not even sample size portions. I noticed an advertisement one day and thought why not I don’t need to give my credit card information so it won’t hurt to try to sign up for a free Swiffer wet jet. Getitfree sends me dozens of emails per day telling me I have something waiting for me. They are liars and your email address will get sent out to hundreds of other people who will email you daily about things that are too good to be true! I love the free samples and coupons that I receive! Several times I tried to respond to offers and after clicking on page after page, answering all their questions, I was never taken to a page where I could order the sample promised. Don’t waste your time on this one. I’m not impressed. I too have taken every survey. And nothing. Except a waste of time. I have unsubscribed several times. And I keep getting the daily text. I have responded with stop and unsubscribed online also. It’s SCAM! Hi! I just applied on GetItFree for some free pens and markers. The information process was actually kind of short. Assuming they don’t really need any of that information other than to send spam emails, I put random answers. Also if you keep receiving the daily messages when you’ve said you’ve unsubscribed, just block the number! Have a great day. I will update again if and when my freebies ship.